Spring is here and the warmer temperatures are bringing new life. As flowers are blooming and trees are turning green again, you might feel like the inside of your home needs some refreshing as well. Spring cleaning can freshen up any home, but sometimes you have to make a big change to really start anew. Think about a space that gets a lot of use by everyone that enters your home. That’s right, the bathroom. The bathrooms in your home could probably use some love this spring, and what better way to brighten them up than to give them a new look? Below, I’ll answer some questions you may have about remodeling your bathroom. How can a bathroom remodel freshen up my home this spring? Bringing a fresh look to any space can change your attitudes and feelings toward the space itself. Adding new shelving to a cramped closet, changing the color of your bedroom walls, or simply buying a new welcome mat for outside your door can give you a new lease on life in your home. So how about your bathrooms? The bathroom is a space you, your family, and your guests use all the time. From getting ready in the morning all the way to preparing for bed, your bathroom is a constant throughout your day. Remodeling a bathroom, even if you simply paint the walls, can freshen up the entire house. Everyone knows that a fresh coat of paint can make rooms seem brighter, cleaner, and more modern. As a centerpiece in your home, the bathroom has a lot of sway in how your home is seen and how it functions. Tackling a full bathroom remodel can seem like an unconquerable beast. There’s so much to do! New tubs, new sinks, new faucets, the list goes on! However, at Columbus Bath Design, we take all the hard work off your shoulders and deliver the bathroom you’ve always wished for. Let us handle the nitty gritty details of remodeling your bathroom while you sit back and relax through the process! At the end, you’ll have a stunning bathroom that you’ll be excited to put to use. How can a remodel add benefit to your home? A remodel could seem like a drastic step if you’re simply looking to freshen up your home. However, in addition to adding new energy to your home, a remodel can add multiple benefits and value to your home as well. With updated tiles, tubs, sinks, cabinets, and toilets, a remodel of your bathroom can make your home more valuable overall. In the future, if you choose to move from your current home to somewhere new, an updated bathroom will be a huge selling point. As for day to day benefits, the list is long! Is there something in your bathroom that just doesn’t work quite right or causes you to be annoyed often? May it be a sticky drawer, a leaky faucet, or a toilet that runs day and night, small issues like this will be resolved during your remodel. However, the huge benefit of a remodel is that you’re redoing everything from top to bottom. This means that bigger issues can be handled as well. Say the space in your bathroom isn’t used efficiently: the counter juts out too much and you always hit your hip bone on it or the toilet feels just a little too close to the tub. With a remodel, these structural annoyances or issues can be resolved. 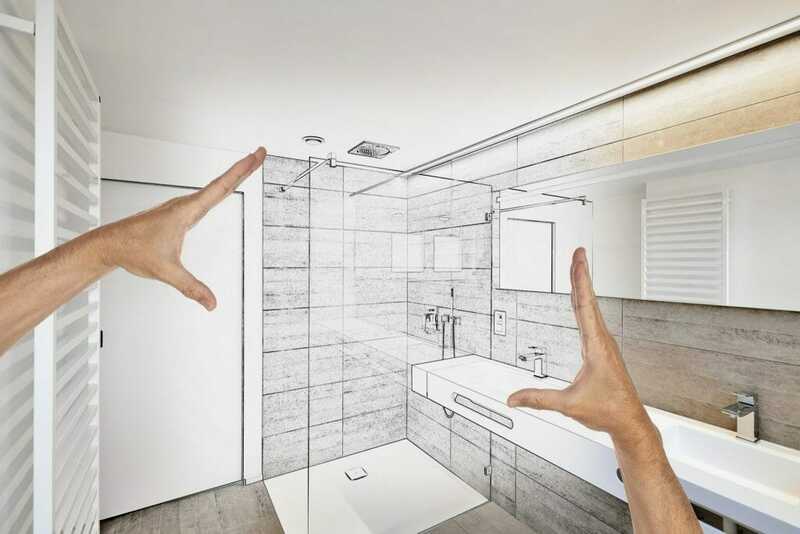 Investing in a remodel of you bathroom is never a bad idea. You can get rid of issues that have plagued you each and everyday! First things first, you must decide if a remodel seems right for you. If it does, begin brainstorming about the look and feel that you want to achieve with your bathroom. Then, head on over to www.columbusbathdesign.com or call us at 614.721.3883 to begin the process. 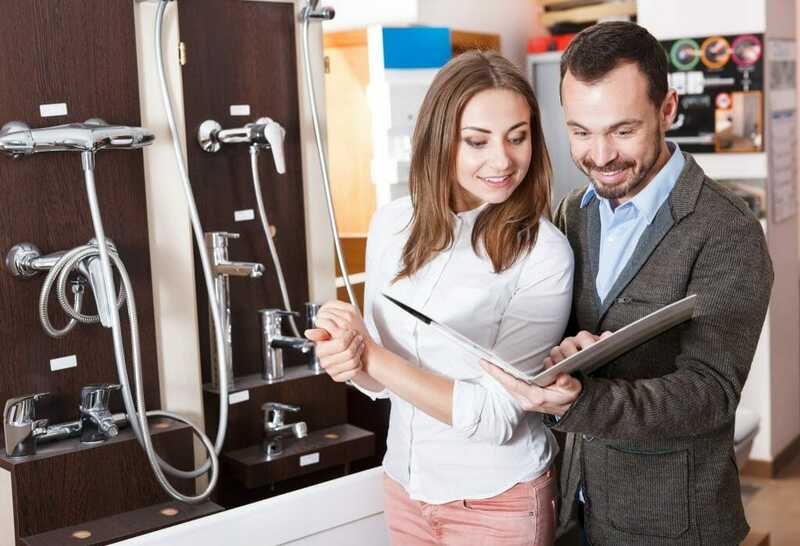 Our staff can help you pick out the perfect design for your bathroom. You can choose everything for your new bathroom, down to the tiny details! Our staff is receptive to your ideas and knowledgeable about the functional needs of a bathroom. We’ll provide you with a free in-home estimate so you know exactly what you’ll be getting into with this remodel. Following the estimate, you’ll finalize your design with our team. Last but not least, we’ll schedule the install! Our experienced installers and contractors will work to keep the mess to a minimum during your install, while giving your home the respect it deserves. We know a remodel of any room can interrupt your day-to-day life, but we’ll keep it clean, make it quick, and do it right! Remodeling a bathroom in time for spring can bring new life to your home. With the help of all of us at Columbus Bath Design, the process will be painless! Give us a call at (614) 475-7700 to begin the process today, or visit www.columbusbathdesign.com to check out examples of our work.